A U.S. district court judge may decide two critical issues in Arizona before the November presidential election: whether to stop the state’s new so-called “ballot harvesting” law from taking effect and whether to force elections officials to count out-of-precinct provisional ballots. 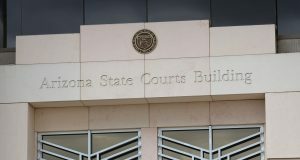 The Democratic National Committee and a group of voters have filed a lawsuit accusing officials of voter suppression after people in Maricopa County – the state’s largest county – waited for hours to cast their ballots in the March 22 presidential preference election. They also claim that making ballot harvesting a felony could disenfranchise thousands of minority voters. The case, Feldman v. Arizona Secretary of State, addresses several other issues. But the plaintiffs filed two motions on June 10 asking the court to grant preliminary injunctions against the state. Here’s what you need to know about House Bill 2023, which will prevent people from collecting early ballots from others and turning them in to elections officials. The plaintiffs also want Maricopa County to come up with a polling place allocation plan that does not repeat the mistakes of the March election, and they want elections officials to count out-of-precinct ballots. The motions argue that not counting those ballots impacts thousands of voters each election, and the practice especially affects voters in large urban communities, like Maricopa County. Here’s what you need to know about Maricopa County’s precinct-based elections and provisional ballot rejections. 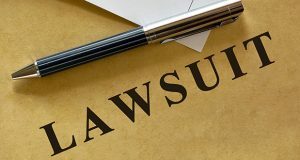 The plaintiffs point out the state’s history of racial discrimination against Hispanics, Native Americans and African Americans and that Arizona used to be a covered jurisdiction under Section 5 of the Voting Rights Act. Court documents highlighted the heated arguments about the ballot harvesting issue as the bill moved through the state Legislature. During one hearing, when Rep. Charlene Fernandez, D-Yuma, asked members to consider voters living in rural areas miles away from the nearest post office box who could be disenfranchised, “many legislators laughed,” according to court documents. Oral arguments are scheduled for Aug. 3 and 12.